I'm not sure if this has been requested before but I'd like to see the ability to use images for captions, kind of like what TClock does. I used to use this all the time back on 9x versions of Windows to change the start menu image to another version of Windows. That's what the menu skins are for. I suppose so, I guess I was thinking of something else. From what I was able to work out so far is that the images used for the captions are small, I was meaning to use larger images but I wasn't sure if it was possible. You can just delete the topic, I think it's in the wrong place for what I'm thinking about anyways. If you want a larger caption, you can use a larger main bitmap and adjust the numbers for the slices accordingly. 165.bmp is the current image, Bitmap_157.bmp is what I'm trying to replace it with. Ok, I'm starting to get the hang of this a little more but I'm still having a few issues. I realized I forgot the border part in the image so I've got that covered now I'm just not sure what I need to edit next, the skin I'm using has more than 1 style & the Main_bitmap_slices section isn't in the sub-skin file so I'm not sure what in the main file I'd need to edit. Ok, I think I managed to figure most of it out but when I select the skin the caption image I used doesn't show up, I'm pretty sure it's the bmp image I'm using but I'm not really sure how to get it into the correct format. I got it, it seems I screwed up one of the numbers which caused the image to not show up. Seems I have 1 problem left, the image is getting stretched a few pixels & I'm not sure how to fix that. I have similar problem. I wanna use Windows 98 visual style and I already set classic theme, change icons and etc. 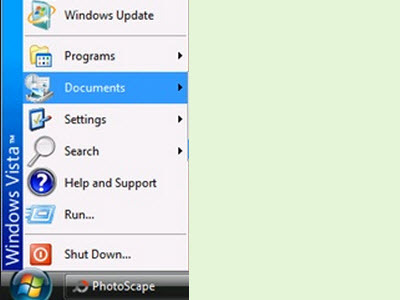 and I need to use Windows 98 start menu caption image with Classic Shell. I took it from Windows 98's explorer.exe and place it in my theme(1.bmp in bitmaps, use the original size) and I try to change Main_bitmap_slices_X and Main_bitmap_slices_Y first 3 numbers of both of them, but still can't get a proper result cause sometimes image too stretch by heigt and sometimes it on top. It will make it so that the bottom 113 pixels don't get stretched. I was wondering if it would be possible to make the top 230 or so pixels not get stretched. I can't seem to figure it out. The first number of the Y slices is the top pixel count that is not stretched. The second number is the pixel count that is stretched (it can't be 0). The third number is the bottom pixel count that is not stretched. Thanks so much Ivo. I also forgot about the Skinning Tutorial page, so that was helpful too. Also I had meant to say the bottom pixels for the image, but I figured that out myself thanks to you. If anyone notices that I missed anything/got anything wrong, please let me know. I'm also debating weather or not I should make ones for Windows 7 and newer. What do you guys think? I'll post the skin to the User Content forum when I'm finished. Last edited by R.O.B. on Sun Feb 01, 2015 5:12 pm, edited 2 times in total. Nice, might give me a reason to go back to classic again. So should I make caption images for Windows 7 and newer? I'd say just go for it if you don't mind doing the work. Alright, I'm fine with doing them. But before I get to work on them, I do have a few questions about their designs. 1.) Should I have separate captions for different versions (example: Home Premium, Professional, etc.) or should I have one caption for every version (example: Windows 7)? Doing ones for separate versions would really not be that much extra work, so I'm fine either way. or should I create a new gradient design? I've already got a design for Windows 8x/Server 2012 R1/R2 (which will be a flat look to go with the OS), and I have a good idea of what I'll make for Windows Server 2008 R2 (which probably won't be too different from the look of Windows Server 2008 R1). It's just the Windows 7 ones I'd like input on. Again, I'm fine either way, so don't be afraid to suggest a new gradient design or edition branding if that's what you want. Actually, I'm making a skin that will let you choose which OS version you want to have displayed. So if you want the menu to say 'Windows 2000 Professional' you'll have the option to do that and it will display the original bitmap from that OS. So it wouldn't automatically determine which OS you're using, it will just give you the option to have it display the original caption from whichever version of Windows the user chooses. But I'm also keeping the option to use a custom caption like the default classic skin. Also, here's a download of what I have so far. Feel free to give me feedback. Last edited by R.O.B. on Fri Feb 06, 2015 1:11 pm, edited 1 time in total. you added a caption for every single version of windows? There is an option titled 'Menu caption' that allows the user to put any text they want there... (and it defaults to the name of their OS) so unless you actually plan on adjusting the theme in other ways based on the skin variation. It seems that all that work was unnecessary.. The text on the caption image is often unique & CS doesn't have any font options that I know of that would allow users to imitate the text in the exact way it's seen in the original image so it is necessary to a point. Just something I noticed though, the borders are missing making the menus look a bit off. Do you have the 3D border setting enabled? Because that could be the issue. I already know about the custom captions (my skin still has an option for that as well) but like JoshD said, I'm mainly doing this for the fonts so the menu can look more accurate. If all of the variations seem like a bit much (which I can understand, it is a lot), then you can always collapse the 'Variations' section in settings by double clicking it. This makes other settings easier to access. Also, certain captions can never match Classic Shell's default classic skin (for example Windows Home Server or Windows Codename Chicago). Anyways, does anyone have any preferences on the Windows 7 bitmaps? Those won't take long to make (I've already finished the ones for Windows 8x, and I'll do them for Windows 10), so I'm fine with taking requests. I will say though, I'm thinking I am going to use the Windows Vista style gradient backgrounds. Nope, not on & doesn't look right when it is either. Alright, are you using a theme? 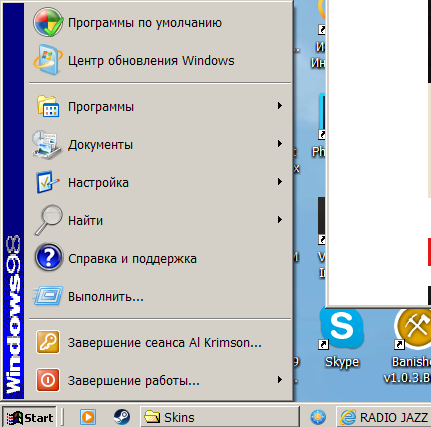 Because it seems that the 3D border only takes effect with the Windows Classic theme. I'm not sure how to change this. Looks like that was it, I wasn't using a classic theme at the time when I was testing it. Since I feel this discussion would be more appropriate under User Content, I've gone ahead and posted a thread there. So I will no longer be replying to any questions/comments about the skin I'm working on in this thread. If you have any input related to the subject, post it here.